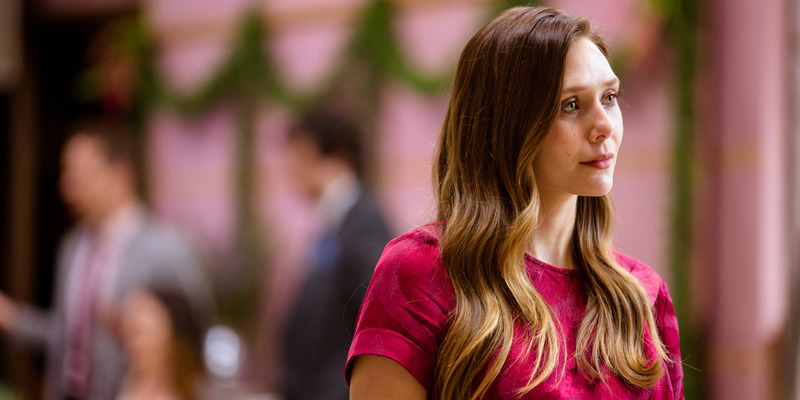 Elizabeth Olsen’s show about a young grieving widow, „Sorry for Your Loss,“ debuted to critical praise when it was released on Facebook’s premium TV section, Watch. Despite getting 4 million views for its first episode, viewership plunged after that. Facebook hasn’t proven that Watch can be a launching pad for a scripted TV show of the caliber you’d see on Netflix or even YouTube, and has yet to have a breakout hit. When the first episode of “Sorry for Your Loss” debuted on September 18, it seemed like the stars had finally aligned for Facebook Watch, the tech giant’s bid to take on premium TV. And even before the show had launched, its trailer had already inspired Facebook users to post their own stories of grief and loss, an element of social sharing that demonstrated the unique position of Facebook as a TV platform. These early signs of success were no doubt a relief for star Elizabeth Olsen, who had spent over three years deeply involved in the project, and was paid $250,000 an episode, according to Variety. After starring in movies, this was Olsen’s first TV show, and it had taken a leap from Showtime (at one point in development) to a largely untested Facebook. The first episode got 4 million views according to Facebook’s count, which, despite Facebook “views” registering after only three seconds, is impressive. But since its debut, “Sorry for Your Loss” has so far proved another flop for Watch, which hasn’t scored a scripted breakout hit — its “House of Cards” (Netflix), “The Handmaid’s Tale” (Hulu), or even “Cobra Kai” (YouTube’s “Karate Kid” series reboot). Facebook had an atypical release strategy for “Sorry for Your Loss,” dropping four of its 30-minute episodes on September 18, and the rest in pairs. Though this is not the norm for either traditional TV or streamers like Netflix, Facebook will continue to experiment with similarly irregular blocks of episode releases for upcoming shows. Consisting of 10 episodes, the first season of „Sorry for Your Loss“ ended October 9 (though all are still available to watch on the platform). The second episode saw a stark decline in views from the first one, falling to under 200,000 (from 4 million). The episode with the fewest views was episode six, which has received around 82,000. But generally, the distribution of viewing has been choppy, suggesting some of these episodes either made their way into people’s feeds or got better placement from Facebook some other way. In its Watch shows, Facebook has been looking for ones that build a repeat audience. One Watch partner told Business Insider that Facebook would prefer lower view counts if they were stable. The irregularity and nose-dive in viewership for “Sorry for Your Loss” means that by Facebook’s own standards, the show appears to have been a flop so far. Facebook pushed back on that narrative, however. “It is still early, but we are excited about the momentum around the series after its short four-week season run and are encouraged by the loyal fan base and community engagement around the show – as well as within the official Facebook Group,” a Facebook spokesperson said. But while the Facebook group around the show has prompted meaningful discussion about loss, it has fewer than 8,000 members. And the distribution of the views does not suggest the show is gaining momentum. So you have a movie star, incredible reviews, pre-release buzz, and then — a fizzle? Hollywood is tricky and some TV series that seem to have all the right parts just fail to build an audience. That’s show business. But Facebook also doesn’t seem to understand some pieces of making a hit TV show in 2018. Here’s a personal anecdote. The day it was released, I was excited to check out “Sorry for Your Loss.” I fired up my Roku-powered smart TV to try and watch episode one. Then it turned out there was no Roku app for Facebook (or Facebook Watch). Facebook has ignored the leading streaming player. I spent 20 minutes poking around the internet trying to figure out a workaround, but eventually gave up trying to get it on my TV. I watched episode one on my phone and liked it, but didn’t want to watch a second — primarily because of the annoyance of having to watch a show on my phone for an extended period. I never came back to it. If Facebook wants to force me to watch TV-length shows on my phone, that’s fine. But Facebook does have Apple TV and Amazon Fire TV apps, so it doesn’t seem like that’s part of a coherent strategy. Facebook didn’t provide a specific explanation of why a Roku app is still not available over a year after the launch of Watch. Facebook has switched up its Watch strategy a few times since launch. It sounds like Zuckerberg is admitting Watch hasn’t yet found its groove. And a lean-back experience on a TV might have always been a tough sell for Facebook, which Zuckerberg noted wants “people-centric” viewing. “Sorry for Your Loss” might simply be caught in an awkward spot. While Facebook could have been intrigued by its social aspects — like its users supporting each other, and sharing stories of loss — it’s fundamentally a TV show. At least to me, it feels like a show you want to watch on your television and not your phone. Perhaps it would have had a better shot to build an audience on Netflix or Hulu. Facebook will have some more swings coming up with Hollywood talent — like Catherine Zeta-Jones‘ „Queen America“ and Jessica Biel’s „Limetown“ — but if it wants top actors to keep signing onto its shows, the tech giant will have to prove it can actually sustain a scripted hit. “Sorry for Your Loss,” despite its virtues, hasn’t been it so far. If you have any information or thoughts about Facebook Watch or „Sorry for Your Loss,“ contact the author at nmcalone@businessinsider.com.